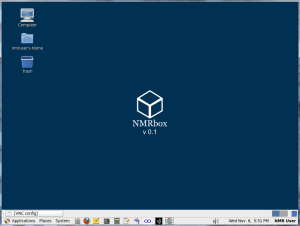 NMRbox is a virtual machine (VM) that comes pre-configured with a wide range of software for bio-NMR. It is designed to simplify development, distribution, support, and maintenance of the complex software environment needed for bio-NMR studies. 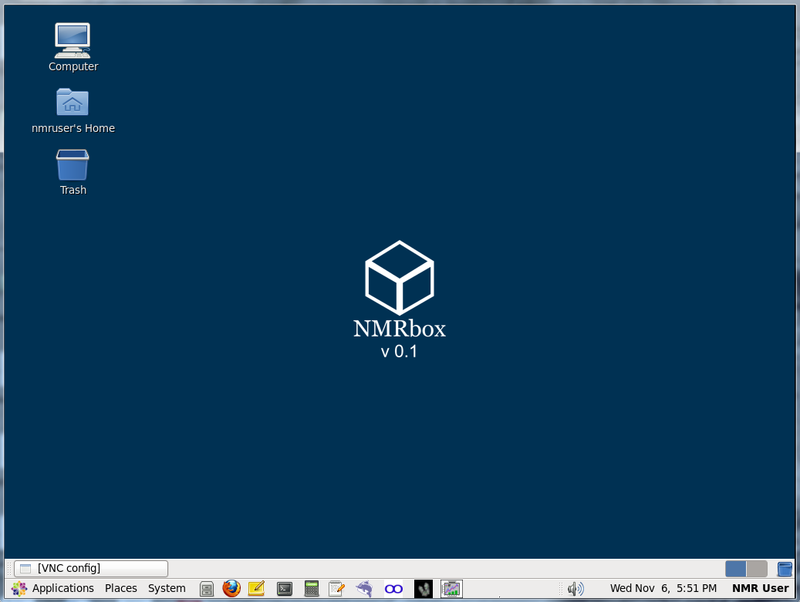 Virtualization engines support running a single version of NMRbox on Windows, Linux, and Apple OSX computers. Archived versions of NMRbox will ensure the persistence of NMR software, fostering reproducible research. The alpha version of NMRbox will be available shortly. Software included in the alpha version will include NMRPipe, Sparky, CONNJUR, RNMRTK, XPLOR-NIH, and other packages. Use of NMRbox is limited to not-for-profit organizations. NMRbox is a collaboration of UConn Health and the BioMagResBank (BMRB, University of Wisconsin, Madison). If you are interested in trying out NMRbox visit the parent website.